Fixed marine structures that may be encroached by ice require special design consideration to reduce the impact of rubble pileup while providing adequate resistance to ice actions. At Aker Arctic, we go beyond designing platforms based on design standards and focus on the complete operability of the facility, including the surrounding marine operations such as supply, offloading, and escape & evacuation. The design of fixed marine structures involves the trade-off of a variety of factors that are influenced by operational and environmental factors. Ice conditions, low ambient air temperature, remoteness, and shallow water will all influence specific requirements for the design of the structures. In addition, safe and economic construction, installation, and operation of the structure must be considered. 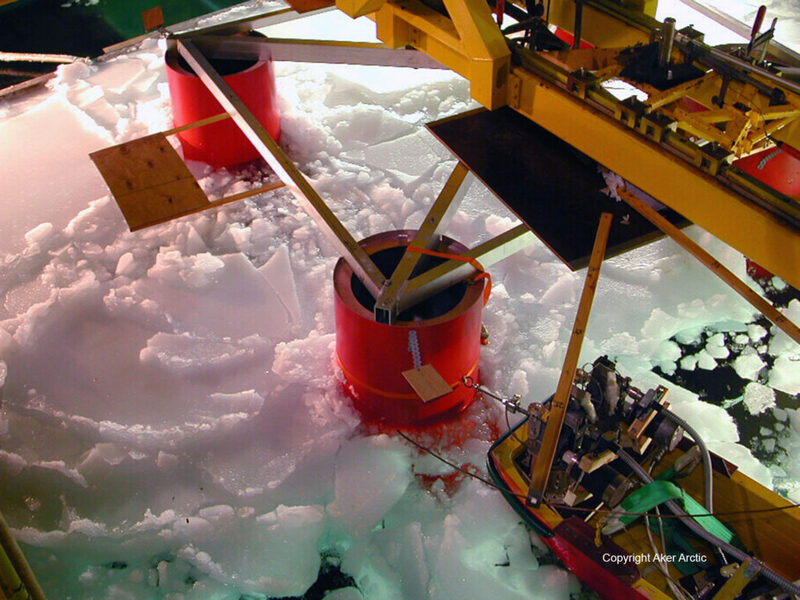 Aker Arctic provides solutions to these challenges by developing viable concept designs followed by a trade study to evaluate the merits of each concept. Through this process, sound engineering principals are used to arrive at a solution that balances the customer’s objectives and priorities. The first stage of the concept design is to develop potential concept solutions. Solutions are not limited to the type of structure (caisson, conical tower, multi-leg, artificial island, etc. ), but may also consider the installation location and other operational details such as unloading arrangements, export vessel design, etc. The concepts are developed with consideration of relevant standards and regulations, ice and metocean conditions, and operational and geometrical requirements and limitations. Each concept can then be optimized and compared on the basis of customer defined criteria such as supportive marine operations (ice management, stand-by, supply, loading, off-loading operations, etc. ), installation and dismantling of the structure, and investment and operational costs estimates. At the detailed design, construction, towing, and installation phases Aker Arctic also provides tailored project follow-up and quality management services for customers. Our solutions for fixed marine structures are provided in cooperation with Eranti Engineering.